A cheerful Shin Hye arrived in Taiwan Taoyuan International Airport this morning for her Taiwanese drama 'Hayate the Combat Butler' promotions. Spotted wearing a white top, leggings and sunglasses, she waved and smiled to waiting fans and reporters as she walked out of immigration. Because of her tight schedule, Shin Hye did not stop at her hotel, but went straight to the event venue at Xi Men Ding, Taipei where the 'Meet & Greet Event' was held(outdoors event). 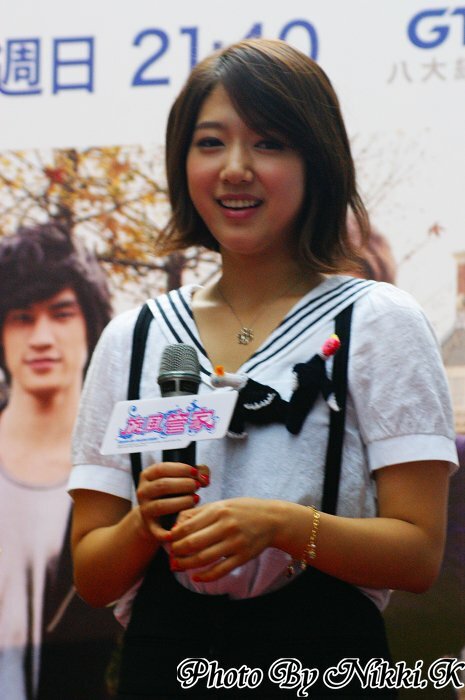 In the video, Shin Hye introduces her character "Xiao-Zi" and says "Wo-ai-ni"(I Love You) to the audience. Then she talked about her most unforgettable scene, which is "Whenever Xiao-Zi got into trouble, Hayate would save her from danger. It is very unforgettable to me. And I have a handsome butler in the drama." 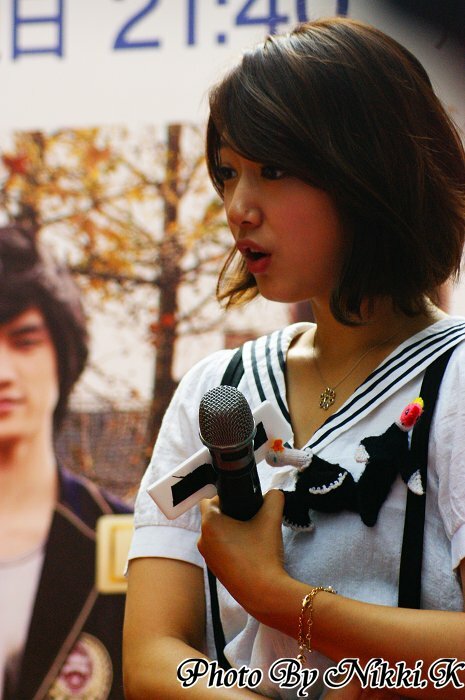 MC asked Shin Hye which cast member took care of her during the drama filming. 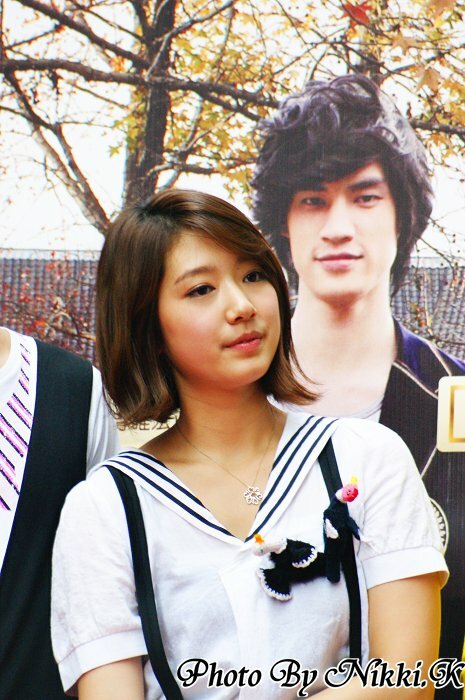 Shin Hye said Tia and George took care of her the most because they had most scenes filmed together. They also ate meals and chatted together while they were not filming. They also made promises on stage. If the viewer ratings is over "3" (excellent), then what will they do? 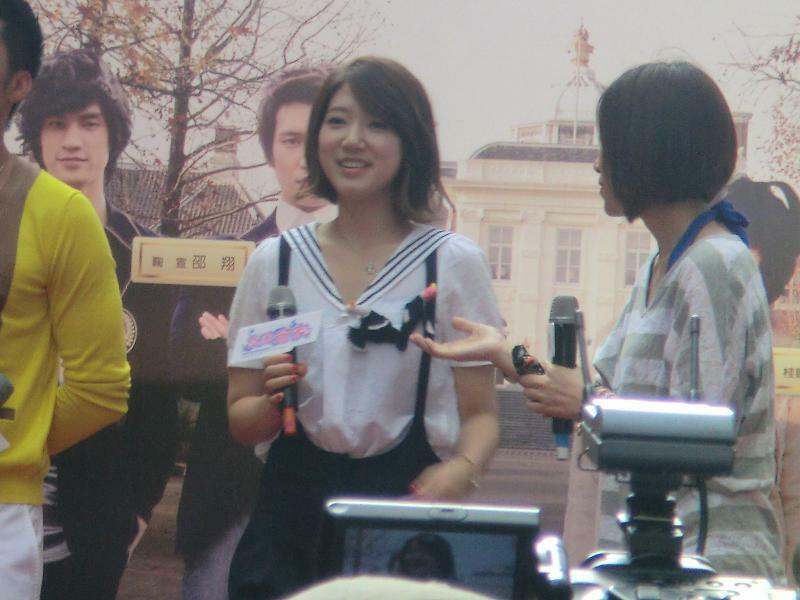 Shin Hye said she will visit Taiwan again if it happens. The cast is asked to choose a fan each to come up on stage to play games with them. 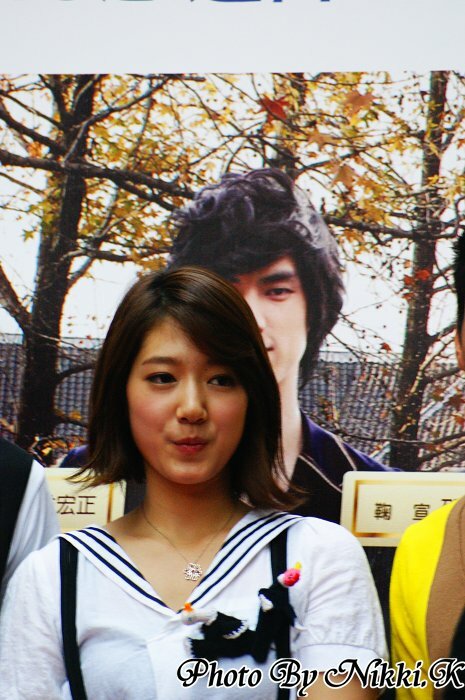 Shin Hye chose the fan who was holding a banner (will appear in part 5). Meanwhile, the cast played a game of "who eats icecream faster?" George V.S. Jean Lee. Jean Lee won. George lost, so he had to give a piggyride to Tia and Shin Hye. 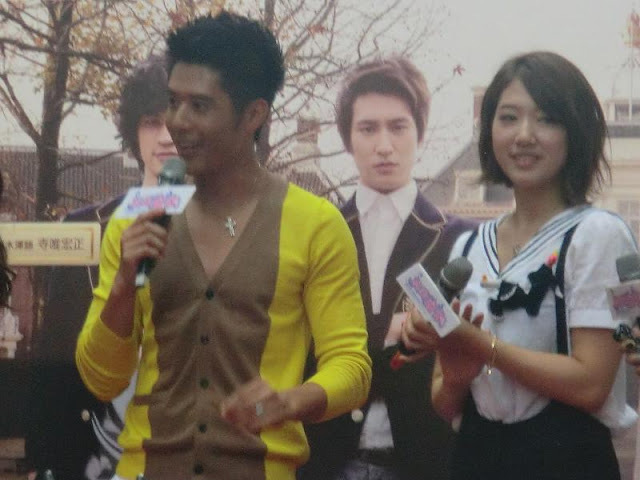 They played games, and George Hu was punished to piggyback ride his female costars as he lost at the games. After the games section, it was time for the 'handshake event'. Everyone who pre-ordered the Hayate photobook could shake hands with the cast and take a polaroid photo with them. 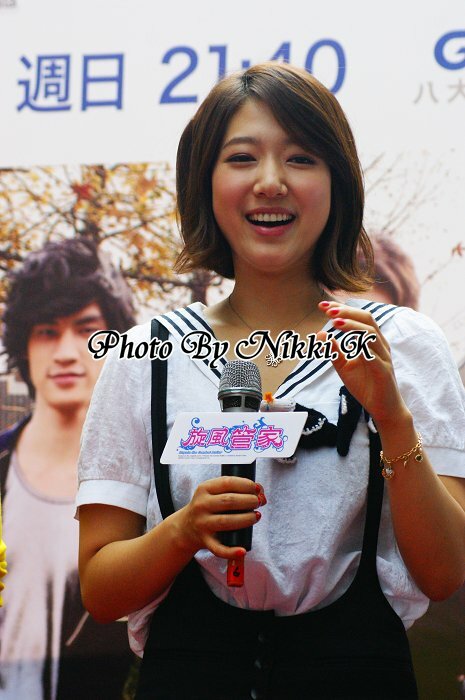 Shin Hye smiled so brightly and beautifully! As the handshake event wrapped up, the cast left in a bus together to their next event - photoshoot and TV show recording. Fans could not attend those. 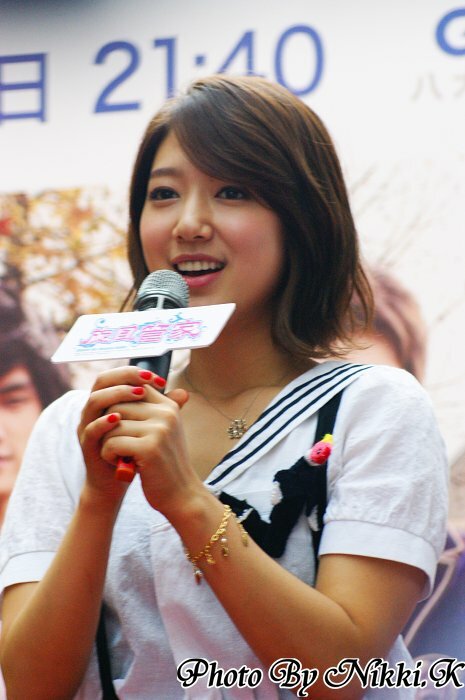 Tomorrow, Shin hye and her costars will greet fans again at the 'Media Premiere event' in Taipei. After that, they will leave for a TV show recording. Let's wish her a healthy and happy trip despite her busy schedule!! 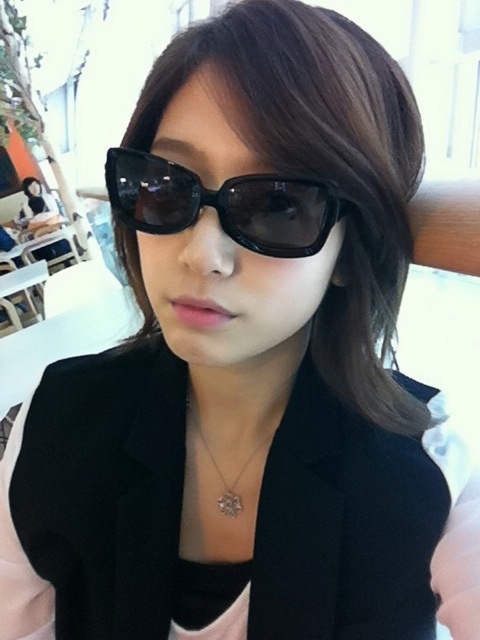 trans: Departing for Taiwan\(//∇//)\ 2 Nights 3 Days tight schedule!! 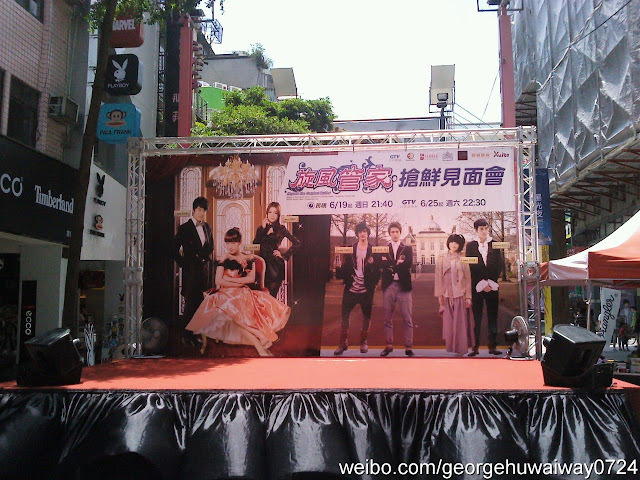 But with Taiwanese fans I"m sure it will be fun and enjoyable. Bye!! 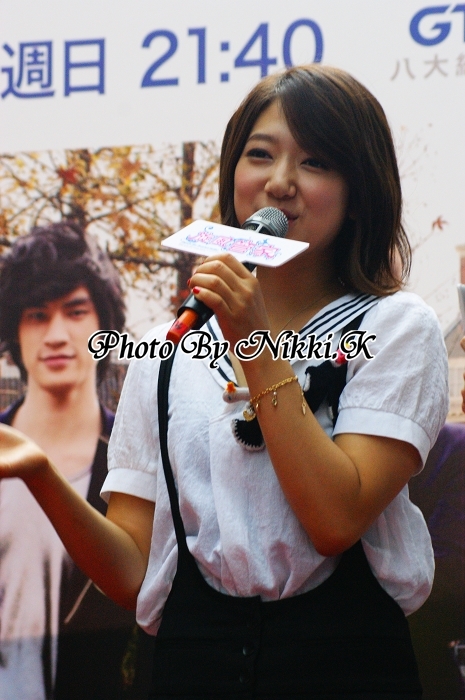 See you in Taiwan^^"
Credit: All photos credit as tagged. 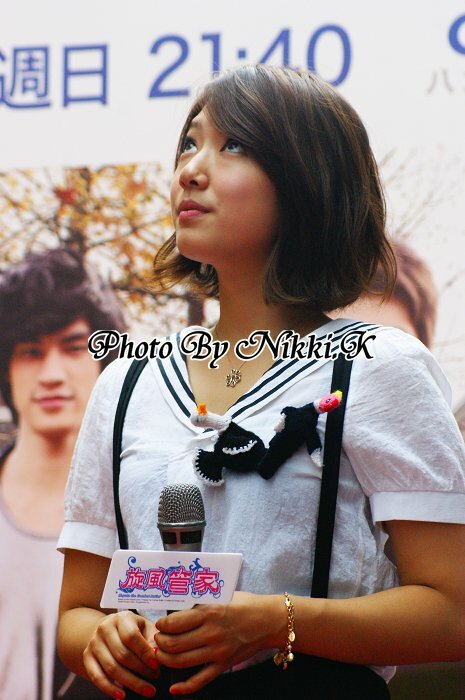 Special thanks to our friends over at Park Shin Hye Taiwan Fan Club! You guys did a great job today! She is so beautiful!!! What a hectic and tiring schedule she has for the next few days. Poor girl. Hope she gets some rest in between. Pretty girl! i hope for the success of hayate combat butler..
You have such a busy schedule! Remember to have fun...enjoy your time with your friends. Eat well and rest when you can. Wow! She is so beautiful. 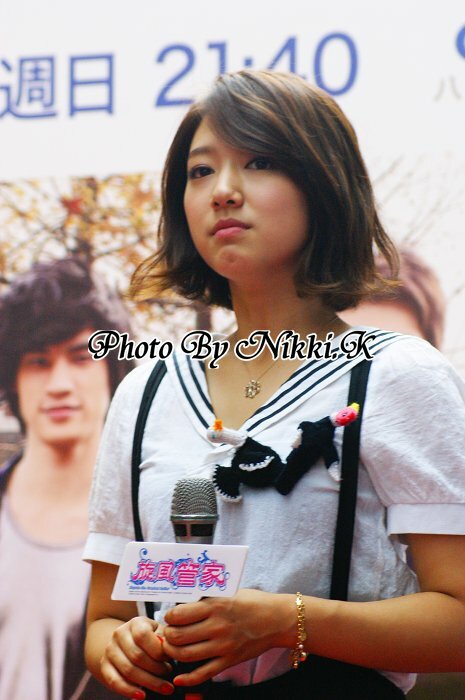 I hope she will stay strong despite of her tight schedule! 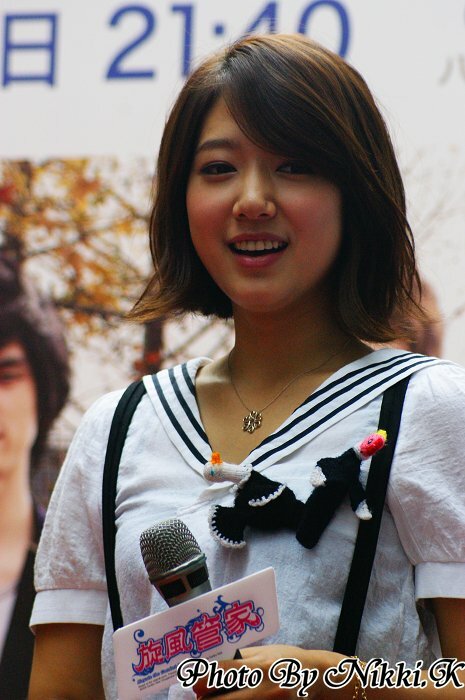 We're cheering for you Park Shin Hye! FIGHTING!! !